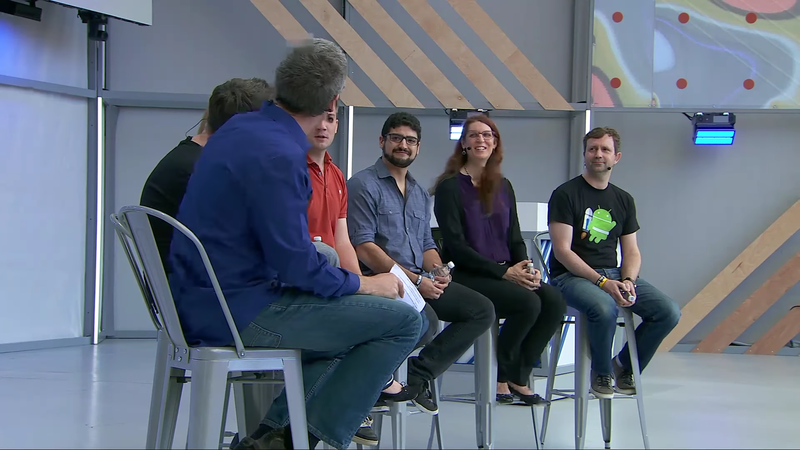 One of the more interesting events at Google I/O every year is the 'Fireside chat,' where members of the Android team answer questions from developers. While most of the topics were about best practices for app development, there was one question that received an interesting response. Around 20 minutes into the session (linked above), one developer asked the team what should have been done differently with Android 1.0, knowing what the team knows now. Chet Haase responded with, "I've often thought that designing APIs is building future regret," with Diane Hackborn mentioning that the Broadcasts API has been a headache over the years. Specifically, it is known to cause slowdowns (especially when a device switches networks), but removing it would break countless applications. The team also wished Android would have implemented App Bundles earlier, which is a new format for apps distributed through the Play Store. App Bundles cut down on the size of applications, by sharing common resources between them and only installing components that the device actually uses. It's interesting to discuss how Android could have been created differently, especially since no one in 2008 expected that it would be the most popular operating system on the planet. Google's in-development 'Fuchsia' OS is considered by many to be the company's answer to Android's structural problems. For example, applications are written in Dart, Swift, C++, and other languages - not Java, which has caused countless legal problems for Google.